The death of 20 year old National Diploma (ND) Science Laboratory Technology (SLT) student of the state owned Rufus Giwa Polytechnic, Owo, Wunmi Agbeluyi after a herbalist allegedly helped her to terminate the pregnancy. However, detectives in the Ondo State Police command have picked up the herbalist who allegedly put the deceased in the family way and in a desperate bid to terminate the pregnancy gave her some concoction to drink in order to flush it down . He is currently being quizzed at the Special Investigative Bureau (SIB). Reports from Police detectives indicated that the deceased who is now an orphan was the daughter of a herbalist. The suspect, according to findings is an apprentice to the father of the deceased when he was alive. Vanguard gathered that the suspect has been showing interest in the deceased before her father’s death but was hindered because the late father disapproved of the relationship. But when the father later died, the suspect walked his way into the heart of the deceased and a relationship ensued and he begin to fend for her. Some years into the relationship, the unexpected reportedly happened and the suspect reportedly prepared a concoction for his lover to terminate the unwanted pregnancy. quizzed by detectives helped them to evacuate the remnants of the pregnancy. After the flushing by the doctor in the private hospital, her persistent complaint of abdominal pain made the suspect to relocate her to the State general hospital where she later gave up the ghost. 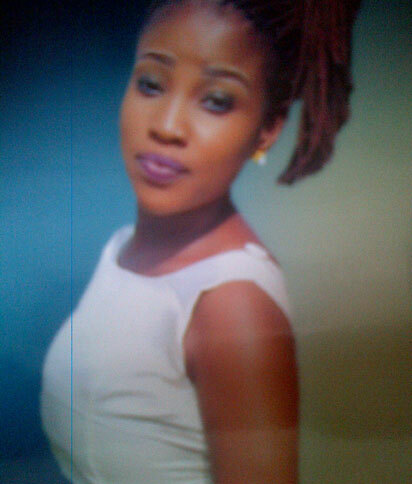 While all these were happening the deceased did not confide in her sister (Funke ). A friend by name Omololu reportedly informed her that the deceased was admitted to the state hospital after which she rushed there to meet her sister in pain. complained of abdominal pain. He did not disclose to her that he gave her concoction in a bid to terminate herpregnancy. However, reports had it that the lovers also did not open up for the doctors that attended to her at the State hospital until she gave up the ghost. Vanguard gathered that it was after she died and taken back to Ijare for burial that the cause of her untimely death was exposed. Some sympathisers informed the deceased’s sister what actually happened before the suspect rushed the deceased to a private hospital where the remnants of the pregnancy were flushed out and was referred to the state hospital where she later died when the pain did not subside. Funke and other family members reported the matter to the traditional of Ijare- Olujare of Ijare who advised them to lodge a complaint with the Police. The suspect and the medical doctor were later picked up and detained. Speaking withVanguard, the sister Funke said that the deceased was the last born of the family. “it was a friend called Omololu who informed me that my sister has been admitted in the State specialist hospital and was critically ill. “ I rushed to the hospital to meet my sister in pain complaining of stomach ache. She insisted that the doctors should not give her injection or drips as prescribed. “I informed the family members and we reported the matter to the Olujare of Ijare who asked us to lodge a formal complaint with the Police. “I was informed that someone gave her concoction to abort the pregnancy but when she complained of abdominal pain, she was rushed to the hospital “I was later informed that the doctor in the private hospital billed them N25,000 and an initial deposit of N20,000 was paid. It was the doctor that helped them to flush out the remnants of the pregnancy. “But when the pains persisted I learnt she was rushed to the specialist hospital where she later died. “Funke said the family would want justice to be done and pleaded that the police should not sweep the matter under the carpet. “We will pursue the matter to a logical conclusion and those behind the death of our last born should be made to face the music”, she said.